Haha about bloody time. This os brilliant!!!! Fantastic idea, just hope that its been 110% fully tested and proven. 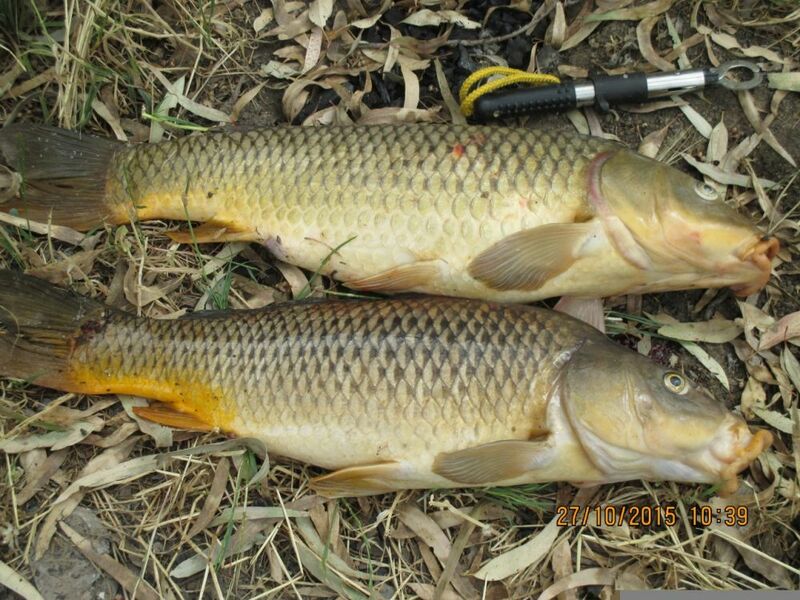 Otherwise can just see the headlines ............."Carp Virus wipes out all Native fish from rivers and dams". God lets hope not. definately yes a good thing, BUT , we have seen it all before a new pest bought in to kill one pest and then it goes berserk!! cane toads for eg , lets hope they do get it right we have a very muddy dam that needs to be done!! My only concern what happens to the native fish where carp are a main part of the diet... They should be stocking more bass, cod and perch because then no carp under 30cm will be able to leave cause they'll be dinner... I don't know thats just another way to look at it. Other then that I don't have an issue. Where I live on the hawkesbury a few of us believe that carp are a main part of the diet for our bass. We don't see the mullet or herring we use to see which were part of their diet. That's just the condition the river and creeks that flow into it are at where that's what they feed on. True that! I've seen them eat healthy adult ducks before so surely they wouldn't turn their nose at a carp. As far as I know they are talking about doing this in the Murray Darling only so I don't think it would affect you guys too much but I guess we will see. And when fishes diet is "small baitfish" these small baitfish can be anything when you think about it. After the carp they need to focus on the gambusia or mosquito fish otherwise we are going to lose a lot of small native fish that can't be found anywhere else in the world to competition. Well 8 years of research says that it doesn't affect the native flora and fauna. Secondly I don't see how a virus that spreads from direct physical contact will spread from a carp to a bird and then somehow to a native. The thing with making assumptions is there are literally no facts to it you're just making a guess at something and saying the people that researched for 8 years don't know what they are talking about. 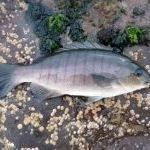 We can't say from just observing a visual decline in mullet and herring that the natives have turned to eating the carp. If you showed me a bass cut open with a carp in its gut that's another thing. It's been hush hush for a long time. But I believe it's all good, I was told dont tell a year ago. Gambusia, mosquito fish should be the next target. Thought I'd open this very complicated subject again. Whilst I'm pretty sure I want to see the carp out of our waterways and the release of this virus will work as intended. I do have a few concerns. 1. Where i fish they are the biggest fish in the river. A 80 plus fish will pull more string than any southern freshwater fish. They also offer great opportunities for some serious line class captures. 2. There seems to be no plan for the removal of dead fish. Masses of dead fish will not only only stink but potetially cause a second disease that could affect native fish. Try to think of a fish kill that affects 100s of kms of river. 3. The removal of carp will dramatically improve water quality/clarity. This will look great and should benefit the native fish but it will also benefit redfin and mountain carp. Both much more voracious predators surely to be made more effective by the improved clarity. I think the redfin has the potential to be a bigger threat to native fish stocks than carp. All in all I agree we will be much better off without carp. But I think we should be aware that things won't go back to pre carp days and we should be ready for post carp days. Nature is unpredictable and maybe we should be careful what we wish for. So there's something to mull over. I just hope I catch that metre fish befor they're gone. I remember reading about this a while ago... While I don't remember the source, it was noted that it's estimated to kill off 90% of carp. While this is a great initiative in the short term, I see worse issues arising in the future. Once the carp continue breeding, we'll then be plagued with European Carp that are resistant to the virus the killed off the majority. I think it's a witch-hunt as the freshwater ecosystem is going south and the main pest is human . What next - trout vs natives? Here's something I can get my teeth into. Several things will (most likely) happen when the virus takes effect. The numbers of Carp will be greatly reduced = pluses and minuses. Water turbidity will be reduced and there will be more food available to other fish sharing the water. HOWEVER, for the fish that have Carp as part of their natural diet (ie Murray Cod, Yellopwbelly), there will be fewer Carp there to be eaten. Outcome = more predation on their own species, resulting in fewer Cod and Yellowbelly. One thing is for sure. We can't sit back and do nothing about the plague proportions that Carp have achieved, it will continue to get worse. Carp will never be eradicated completely. It's difficult to say what the short term outcome will be in respect of other species. It's even more difficult to say what the long term outcome of Carp reduction will be. The entire Carp problem was started by mankind, now it's time to do something about putting the problem right. I've read all the preceding comments and there's a very healthy discussion thread happening. I trust the research, which has been done, in regard to crossover to native species. Japan and Israel have been using this virus for 6 years or so with no such problems reported. Time will tell. So what's next...eradicate Trout and Redfin? BN, I agree with everything you say in your post, except cant understand your idea of Carp being being one of the best freshwater fighting fish. Just my opinion, but certainly over the years that I have caught and disposed of them .....I wouldnt have classified them as that ! I'm inclined to agree with BN about carp as a fighting fish. 'mud marlin' isn't a nickname for nothing! Just my experience Mullatt...compared to Murray Cod, Golden Perch, Redfin. On the other hand I've had some great tussles with freshwater eels which rank very highly. Just don't have them in my recent fishing environments. Darn what am I going to use for fertilizer now ! BN, only my experience too mate, but I have always found carp to be more of a dead weight than a fight. Pound for pound (not talking necessarily about just a big fish) I reckon a brown trout or as you said a freshwater eel is right up there. Have had some pretty good tussles with Redfin and also freshwater mullet. I guess my opinion is tainted in that I absolutely cannot stand Carp, how they look, smell and particularly what they have done to our waterways......so soon as the C word comes up, my blood boils. Wellzy, so Carp actually do aerobatics like Marlin do they? I never said they did, but they're a tough fight. All good mate, I'm aware that they are referred to by some as mud marlin, just that I agree to disagree about them being a tough fight.